LOS ANGELES, CA - Every Who down in Whoville and every grocery shopper around is getting a holiday treat like no other found. The Wonderful Company announced, with lots of fanfare, that Wonderful Pistachios and Dr. Seuss’ The Grinch are the season’s best pair. Through a multimillion-dollar marketing campaign, including two commercials to boot, the notoriously grumpy Grinch discovers Wonderful Pistachios are the perfect holiday loot. Created by The Wonderful Company’s in-house agency and animated by Illumination, The Wonderful Company’s two commercial feature is the latest produce marketing innovation. The first of the two aired in October and depicted a frowning Grinch discovering the taste of Wonderful Pistachios is like no other. 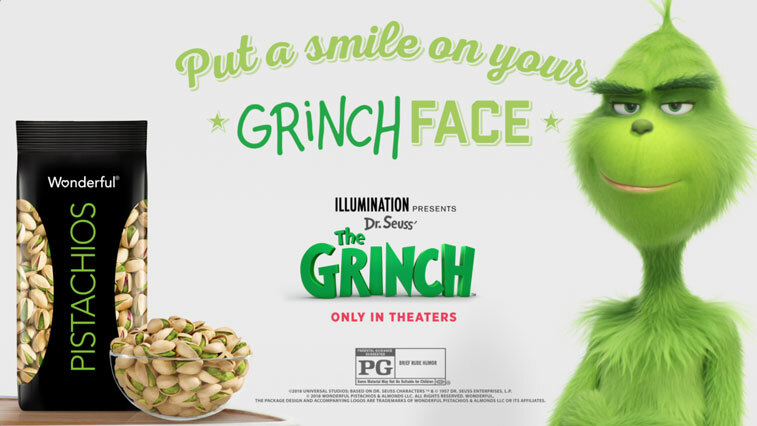 “Wonderful Pistachios is the green icon of healthy snacking so partnering with The Grinch, the green icon of the holidays, is the perfect opportunity to spread green holiday cheer to moviegoers everywhere,” said Adam Cooper, Vice President of Marketing, The Wonderful Company. In the second commercial of the two is Wonderful Pistachios No Shells brand’s debut! In this commercial, set to air November 26th, the Grinch swipes the best part of the Whos’ stockings to get his No Shells pistachios fix. Supported by an online digital campaign and in-store point-of-sale (POS) including bins and standees, retailers won’t want to miss out on this collaboration of the century. A fun marketing campaign that is sure to be a hit is helping Wonderful Pistachios and more get in the holiday spirit. And while holiday cheer doesn’t always come from the store, there’s no doubting that Wonderful Pistachios are part of this season’s core. 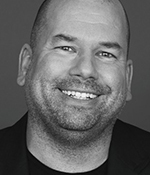 For more fresh produce news from around the biz, stick with AndNowUKNow!